Is Your Church Like King Tut’s Tomb? A rope and some clay. That’s it. As you can see in the image below, that’s all that was used to seal the shrine containing the famous King Tut’s sarcophagus for over 2,000 years (H/T Weird History). 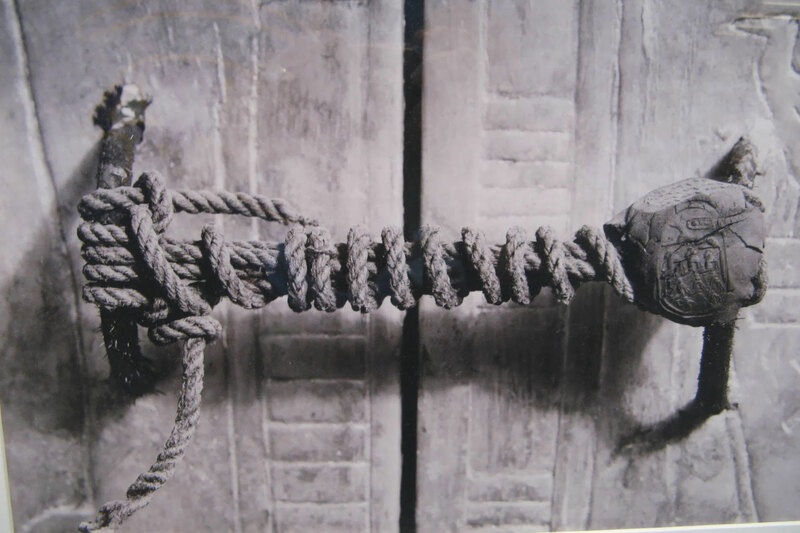 I am struck by this image because it is not the strength of the lock that kept people out for centuries. It looks like you could walk right up and untie it. What kept people out was the fact that the tomb was hidden and eventually lost. When archaeologists stumbled upon it in the 1920s, they had no idea that they were about to discover a priceless collection of artifacts. I wonder if our churches are a little like King Tut’s tomb. We think stagnant or declining attendance and connection to the community around us is due to some confusing and complicated lock. People just don’t like joining things anymore. The new generation isn’t as open to the religion as previous generations. There are so many things competing for our time and attention, especially on Sunday mornings, that church isn’t the priority anymore. Those may be true, and they may be complicated locks to pick. But I would argue they aren’t the lock keeping people out of the church. Right before the accidental discovery of King Tut’s tomb, one archaeologist declared,”I fear that the Valley of the Kings is now exhausted.” There was nothing left to find. It was time to move on. This is essentially what those explanations of church and culture are saying. The church is empty. There is nothing of value here, so people are moving on. Yet, one of the most archaeologically valuable discoveries was just about to be made, and it rekindled not only interest in the Valley of the Kings but in ancient Egypt in general. This discovery, in a place experts believed had nothing left to offer, gave us the most iconic Egyptian artifact of all time in the golden burial mask. What is keeping people out of the church today is that the incredible value is hidden. Perhaps your church is literally hidden–hard to get to, hard to see from the road, no website or other online presence. Perhaps it is physically visible but hidden in that there is no longer any connection to the community. Or perhaps there is plenty of interaction, but what actually makes the church, the Gospel, and connection to God valuable is hidden. All too often, we have allowed the focus to stray to other things like entertaining people, cultivating attention in personality or church brands, focusing on political and social issues in ways that don’t reflect the spirit of Christ, or simply taking care of our own members without having any intention of fulfilling the Great Commission. These are issues of focus and mission, but they are also issues of communication. We need to be willing to spend the time, effort, and resources to help our communities make the discovery. When the value is visible, people will respond.